Now booking for Christmas and New Year Entertainment 2018 and 2019! Are you planning / looking for CompanyChristmas party entertainment ideas? For this year’s party, corporate event or any other special occasion, do you want something unusual? Then why not book a comedy stage hypnotist show? 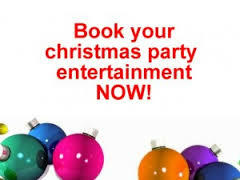 It is never too early to book your Christmas Party Entertainment for this year or next! It will make your companies party truly memorable! It is a great idea for the office or company Christmas party entertainment! It is great for staff morale! It is suitable entertainment for all ages and will not offend anyone! Your Staff Christmas party nights will be the staff talking point for the next twelve months! Christmas only happens once a year! You want it to be memorable and stress free, that is why it is so important to book top quality, professional, flexible, cabaret. – Adam Night, Christmas Party Entertainer! You need a person who has experience and who will get on with things, a person that can work with your Christmas party themes and use his own initiative if necessary. 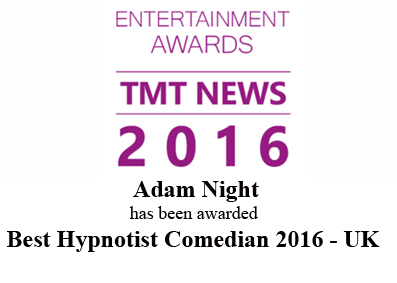 Adam Night has been a full time professional stage hypnotist for over twenty five years, he has performed at many Christmas parties big and small. He can be stand alone cabaret or after dinner entertainment. You can trust that he knows just how to make your Christmas party memorable for all the RIGHT reasons. Don’t let the ‘X’ in Xmas be for ‘X rated’, book early enough to get the act you deserve. Don’t focus all your time, money and energy just on the bar or buffet, thinking food and drink is what attracts the workers to the office Christmas party, your attendances will dwindle because those functions become boring and predictable. 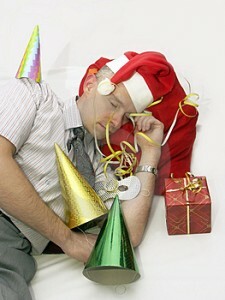 Don’t leave the booking of your Christmas party entertainment until the last minute. If you want the quality you deserve, remember so too do other people. The show is sold on a first come first served basis, book your Christmas part hypnotist now.